Life with Aspergers: Aspergers and Driving: Should You Encourage your Teen to Learn? Aspergers and Driving: Should You Encourage your Teen to Learn? Now that my kids are around their mid-teens, the question of driving is starting to come up. Not from them of course because it’s pretty common for kids on the spectrum to have little or no interest in driving - but from friends and family. In today’s society, the means and ability to drive is very important, particularly if you live outside the inner city areas, you have tools that you need to carry for work or you have a job that moves from place to place. One of the first questions that people ask regarding Asperger’s syndrome and driving is “is it safe?”. Since people with Asperger’s syndrome are, by definition, highly functional, they certainly can have a good grasp of the concepts and dangers of driving. They’re able to follow road rules and they’re able to devote the attention needed to driving. In general terms and under normal circumstances, driving with Asperger’s is no more or less safe than any other form of driving. People with Asperger’s try to avoid stress and other people - driving involves both. Left to their own devices in a comfortable home setting, a person with Asperger’s syndrome is extremely unlikely to become motivated enough to want to learn to drive. It’s up to the parent to give them a push. Should you give them a push? 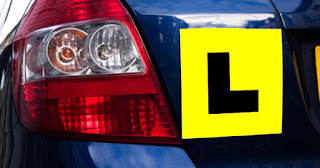 If your teen with Asperger’s has the ability to pass the test, at least the verbal/written parts of the test, then absolutely, you should encourage or bribe them into going for their driver’s licence. There are lots of positives, even if they don’t drive or don’t end up owning a car. The driving tests ensure that your teen has a good understanding of the road rules and the effects of drugs and alcohol on driving. Even if your teen is a pedestrian or if they’re going to get a ride with friends, this is good information to know. There’s also the fact that job applicants with drivers licences are often looked upon more favourably than those without - even if the job doesn’t involve driving. It shows that the applicants are willing to work for goals outside of school. Obviously there’s a difference between pushing your teen towards driving and becoming an insufferable nag. If you push too hard and too often, you’ll turn your teen off the idea of driving. Sometimes you just have to push a little and then give them a little space. You’ll need to work with your teen on passing the written tests which these days are less about common sense and more about facts and figures. If your teen is having trouble passing, look for practice tests online and leave handy reminders for the more difficult questions around the house. When it comes to the more practical parts of the test, you should start the lessons yourself in a deserted area, like a new estate on a weekend. Starting the lessons yourself means that you’re in the best position to gauge your teen’s anxiety levels and to “back off” if required. Once your teen is a reasonably good driver, you’ll want to engage an instructor for a few lessons. Instructors are expensive but they’re also very familiar with the tests and will be able to teach your teen things that are looked upon favourably by the testers; for example hovering the foot over the brake pedal as you go over a pedestrian (zebra) crossing. The one thing that you need to stress to your teen is that they should not drive while they are in (or near) a meltdown state. There was one incident from my university days where the university services team mis-binded a 300 page assignment and I had to drive home in tears and at maniac speeds to reprint the whole thing on a slow dot-matrix printer in time to resubmit in the same 24 hour period. I remember very little apart from cars pulling over and giving way to me, so I was obviously driving poorly. If I’d been thinking a little more clearly, I could have explained the problem to my professor, left her with the mis-binded version and probably been allowed to submit it properly the following day without penalties. I’m just grateful that nobody was hurt that day. You need to ensure that your teenager knows that no situation is unsolvable. If they're close to a meltdown -- don't drive. Call mum or dad! You can usually relax once your teen has their licence, as kids with Asperger’s often don’t have the same amount of peer pressure as those without. This means that there’s often less reckless driving. It’s not a rule though and you’ll still have to watch their behaviour around their friends for signs of unsafe behaviour. 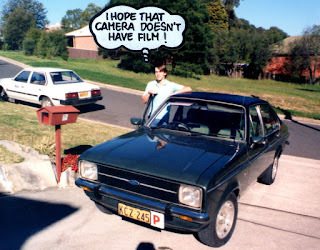 As a teen, I found that my driving was quite good when I was mucking around but it wasn’t so good when I was driving normally. This is something to do with my general alertness levels. I still probably would have been okay but because I had very little experience, I was unprepared for unexpected issues such as wet roads and people parking in unexpected places. Once my kids are driving, I’ll be putting them through defensive driving courses to help them handle those unexpected conditions. It's expensive but it's safer and far less costly than repairing cars and property. The part about not driving during a meltdown is one of the first things I'm teaching my daughter. And for years I've tried to teach her that no problem is unsolvable — but that's a lesson she has trouble with. She does have friends / acquaintances, and will prefer to drive rather than take the bus, which causes her no end of anxiety. Also, her desire for friends combined with her intense feelings of awkwardness around people have led her to some poor choices. This is a tricky topic for us! Thank you for posting! Does it help to teach that "don't drive when you're having a meltdown" is just one example of something that applies to all safe driving whether the driver is Aspie or not? It's not an extra limit that Aspies have and non-Aspies (whether NT or neither-NT-nor-Aspie) don't! If you're starting to have an asthma attack, pull over and stop driving. If one of your passengers has started to distract you a lot, pull over and stop driving. If your phone suddenly rang and you need to answer it because it might be an emergency, pull over and stop driving.